Just a quick note… we knew it was coming and this morning, my Mom called. I knew it was bad, because my Mom never calls anyone, so if she does… Anyway, March 8, 2011 was the date for my Grandma. I’ll miss her–she was a good person. 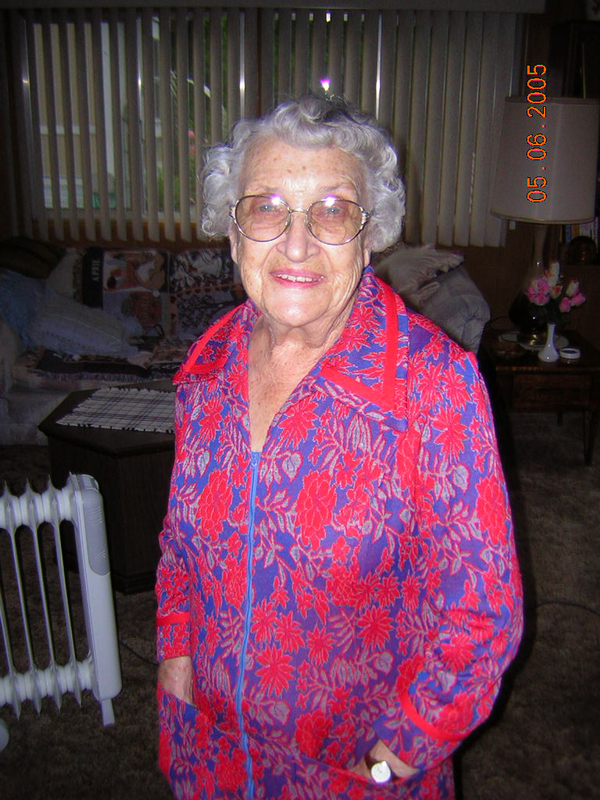 Lorayne Kotrc was our grandmother. She was a great woman and I don’t remember her ever doing anything mean. Our other grandmother passed away when I was 5 and Jim 2 — Grandma Kotrc WAS “Grandma” to us. I feel privileged to have known her for these years. More than that, I am grateful that she was my grandmother… I learned a lot from her and know that I will miss her. I know that the person who made the best blackberry jam in the world is gone — The best cherry pie. More than that, someone I just really liked is gone. My grandfather passed away almost thirty years ago — it doesn’t seem like it, but it was that long ago. A long time to be alone, but my grandma did it. I think she carved out a new life after he was gone, doing different things and in her own way. 93 years old… I can’t even imagine it, but she did it. She had a long life and I feel it was a good one — I only hope mine can be half as good. Anyway, I hope she is somewhere happy, perhaps my grandfather’s been working out and now has a body like Fabio, from the covers of her romance novels. Someday I hope to see them both again. Until then, Vaya con Dios Grandma. Comments Off on A Sad Day. Posted in Dammit, life | Comments Off on A Sad Day. My grandma, Lorayne Kotrc is dying. My mother called this evening and told me she is shutting down. Now, I knew it was coming, but that doesn’t make it easier. She is 93 and she fell a few days ago and broke her hip… at that age, it’s not going to heal. She’s had a failing memory for along while and lately she can’t remember hardly anything but my mother. 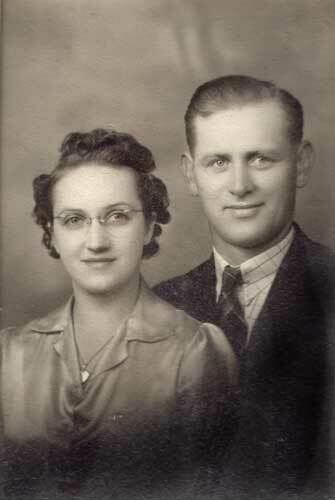 My grandfather, Jim Kotrc died November 28th, 1981–almost 30 years ago.She’s been alone for a long time. I hope he’s there, waiting. My Mom is telling me not to come and she has good counsel, but I feel guilt and sadneß and the real desire to go. I know I can’t as I am out of vacation and as my Mom said, I would have to put the dogs in the kennel–something that is pretty pricey. Still, I would like to go. Mom reminded me that she didn’t go to her grandmother’s funeral–she had her own business and couldn’t close up for that long. It’s all sad. I know death comes to all. I know this day IS coming for everyone, but still one wants it not to. To stay time to be with her again. I know, it’s life, but that doesn’t make the taste of loss any less so. Anyway, i just felt the need to write some about this. Grandma, I surely will miss you. On the other hand, this is getting OLD. Pirates still come in the same old ways. They have always been mean, cut throat and nasty (no children, they’re not Jack Sparrow and they are not “rogues”… they’re murdering SCUM). However, something wonderful… the same old solutions to pirates STILL WORK: KILL THEM. DEAD! Hang them like a string of fish from the yardarm of the naval vessels in the area. Dump the corpses back in Somalia where all their friends and families can see and whine, I mean cry, over their deaths at the hands of the big, greedy “civilized” countries. Seriously people, there are too many liberal, “feel-good” ding dongs who have allowed this to happen. You DON’T pay ransom. You DON’T beg them. You go and you kill or destroy them and THEN, you display their rotting corpses for their fellow scumbags, I mean countrymen, to see and take note of. See, you then educate these poor, “misunderstand” wretches to know that if they do something heinous like this, they will DIE! As in DEAD, hanging from the yardarm of a ship with their rotting corpses being fed upon by birds and insects. Oh, unless they are Mooosleeem pirates, then you feed them to pigs. Yes, I know, I’m a mean, horrible, icky, non-progressive, aren’t I? You know I’m right! I need to have a photo of pirate scum hanging from the yardarm of a Naval vessel like a string of dead fish… Maybe I’ll get the time to do that.